Listening is Hard Work, but Worth the Effort! As a San Diego therapist, I spend a lot of time with couples working to improve their communication skills. Listening is a skill that is crucial to good communication and a healthy relationship. The average person only remembers and understands about 50% of a 10 minute presentation immediately afterwards, and that drops to 25% retention in about two hours. Typically, we have poor listening skills even though the average person spends about 45% listening in relation to all our communication skills combined. There are several things you can do to be a better listener, and below is a list of some of the most important. If you are in a relationship, consider reviewing these tips with your partner and discussing them together. If you are single, there are multiple opportunities to try this out with friends, coworkers, etc. and prepare yourself to be a better listener when you find yourself dating. 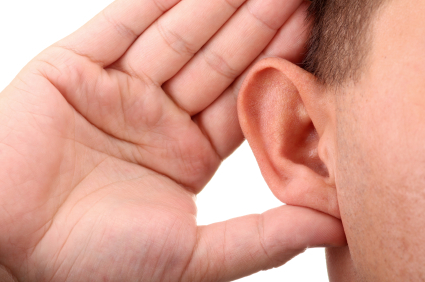 Active listening is simply repeating back what you think you heard and checking it for clarification with the person speaking. Often, our interpretation of what was said is incorrect because we simply misunderstood, or we run it through our own filter cluttered with personal defenses, meanings, and definitions. Try repeating back what you think your partner said and believe him/her if they say you misunderstand. If you don’t believe them, there is a much deeper issue to be worked on surpassing communication – trust! For the person speaking, it is best to condense in short segments what you want to say as it’s much easier to summarize something brief than a 5 minute monologue. Don’t trip yourself up here and try and get out of your own way! Too often, we hear the “words” someone is speaking and don’t look for the message or the meaning they are trying to impart. This is a trap to “make up a story” about words we hear and create a message that may not be intended. What is required is stepping back, taking an objective stance and removing our personal filter. Once you are aware you have a tendency to create meaning out of words, you can employ active listening to buffer yourself from this pitfall. It’s all too easy to make up a story we think fits rather than get clarity on the story that is intended. Self awareness entails doing some personal inventory and discovering what your personal triggers and insecurities are. If you aren’t aware of them, they will undoubtedly get the best of you while attempting communication. For example, if your partner unintentionally says something that triggers one of your insecurities, you may react with sudden defensiveness, may interrupt, or even shut down. Understanding your limitations, triggers and insecurities can help you stay objective and focused on the speaker’s true message and help avoid getting lost in your limitations and vulnerabilities which are equally important, but very distinct needing separate attention. Regardless the personal work done, we are all susceptible to bad days, insecurities and triggers that sometimes get the best of us. We can’t always control getting upset, but we are always responsible for our behaviors. Have a set of responses you always want to utilize when upset and the more mindful you are of them, the easier they will be to use. For example, always try to express how you feel when upset, versus point out what you think the person did. Explain yourself rather than define the other. Never criticize or name call or attack and know how to use a time-out if you feel your emotions might lead you to say or do things that will break down the relationship. Even though reactions seem sudden and unintentional, we are nonetheless responsible for them and they are usually destructive. Responses are thought out and reflect accountability and lend themselves to relationship growth. At the end of the day, respect is the most important factor of all. When considering all tools for a growing and healthy relationship, respect must be the foundation of all. If you don’t truly respect and like the person you are with, the relationship cannot thrive. So, ask yourself if you are treating your partner with the respect they deserve and also ask yourself if you’re being treated with that same respect. If you and your partner are struggling with communication issues, seeking counseling is one viable option. There are many San Diego counselors offering relationship counseling and this may be one option to consider. San Diego therapy is diverse in what it has to offer in terms of therapeutic approaches and locations.